Film Review: "Percy Jackson: Sea of Monsters"
“Percy Jackson: Sea of Monsters” is good fun, especially for anyone who enjoyed Greek mythology in their youth. I’ve been a fan of Logan Lerman since first seeing him on the short-lived WB series Jack and Bobby. At the young age of 14, he stole scenes from Christine Lahti, Bradley Cooper and John Slattery and seemed destined for great things. Last year, Lerman lived up to my expectations by earning great acclaim in the adaptation of Chbosky’s beloved book, The Perks of Being of a Wallflower. , As a rising star of deeply felt dramas, Lerman could have easily sleepwalked his way through Percy Jackson: Sea of Monsters, the sequel to the unexpected hit film that was the first Percy Jackson movie, and waited for his next serious project to come his ways. Instead, he delivers the goods in Sea of Monsters and helps make the movie an enjoyable diversion for adults and, in the words of my 12-year-old son, “awesome” for tweens. How awesome, you ask? So awesome that he watched the film twice in twenty-four hours. Returning with Lerman from the first film are Brandon T. Jackson, Alexandra Daddario and Jake Abel. They each deliver fine performances. Credit director Thor Freudenthal for keeping the actors focused while having to perform with computer generated characters and effects. All you have to do is watch Star Wars Episodes I-III to see great actors get lost in front of a green screen. The CG in Sea of Monsters isn’t 100% flawless, but the imagination behind the monsters and the action sequences certainly had me on the edge of my couch. This film is fast, focused and ultimately fun. What makes it succeed is that the characters are three dimensionally written and act like real young adults. They each have their voice and aren’t cut from the same snarky/sarcastic cloth like so many YA/CW characters. I believed that these fantastical people could really exist. Okay, almost, but more so than the last Iron Man movie. If you’re unfamiliar with the Percy Jackson phenomenon, the films are based on a series of books written by Rick Riordan. The first film was Percy Jackson & The Olympians: The Lightning Thief, which introduced troubled teen, Percy (Lerman), who discovers that he’s the half-human son of Poseidon, the Greek god of the ocean. He soon learns that the children of gods and humans are called demigods and that there are several walking around amongst us. He also finds out that other Greek mythological creatures exist in our world, but disguised from human eyes. Percy runs off to Camp Half-Blood, a hidden school where demigods train. Soon, Percy and his friends Grover (Jackson), a satyr – a half man/half goat – and Annabeth (Daddario), the demigod daughter of Athena, track down the thief of Zeus’ lightning bolt and save the world. The world is always in need of saving in YA fantasy. In this sequel, Percy, Annabeth, and Percy’s newly discovered Cyclops half-brother on his father’s side, Tyson (Douglas Smith), go on a quest to retrieve the golden fleece of legend in order to protect Camp Half-Blood… and save the world. They must get to it before Abel’s character, Luke – the demigod son of Hermes – gets to it and awakens the long dead titan, Cronos. Along the way there are rides on the Chariot of Damnation (an out of control taxi cab), the Andromeda (a yacht), battles with a vicious manticore and an epic confrontation with the resurrected Cronos. It’s all good fun, especially for anyone who enjoyed Greek mythology in their youth. For me, it was a kick to hear the names of characters I loved reading about showing up in a new context. My inner 12-year-old was especially thrilled to seeing Charybdis incorporated into the legend of the Bermuda Triangle. The actors obviously know to have fun with the material, but like Lerman, they all give solid performances, making this a fantasy film you don’t have to cringe through while your child makes you watch it. Stanley Tucci and Anthony Head are great, and Nathon Fillion steals the show in the role of Hermes. It’s Lerman, though, that the film hinges on. He gives a sincere, well-acted performance, never pandering to the audience. Perhaps he remembers being a 12-years-old and falling in love with the movie hero he could relate to. Perhaps he recalled seeing someone on screen going through the same emotions he was experiencing. Whatever the case, I sat next to a wide-eyed 12-year-old who muttered “this is so cool” numerous times, and that made Sea of Monsters even better in my book. 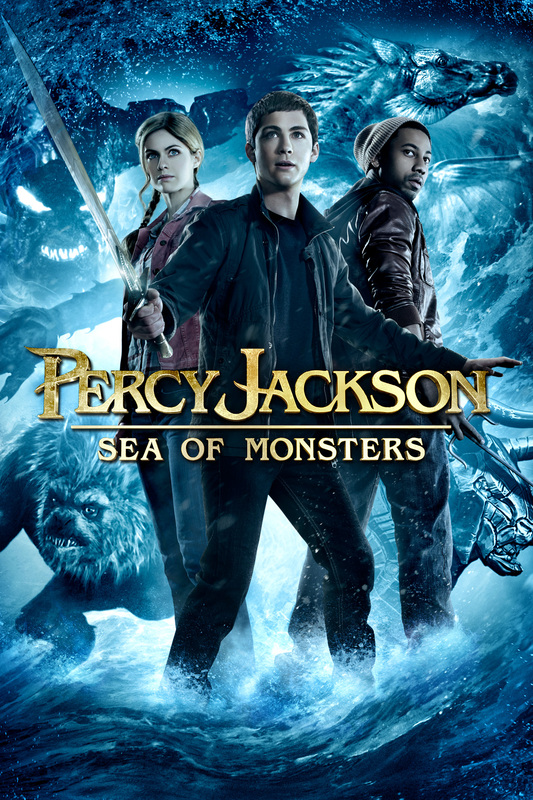 Percy Jackson: Sea of Monsters is currently available on digital formats, including iTunes.